Home Survey Costs - Which Type Of Home Survey Is The Best Value? 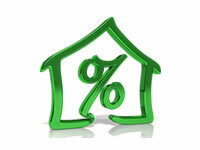 Home » Posts » Articles » Home Survey Costs – What Are The Typical Rates? When it’s time to buy your next home, you’ll need to remember to make an allowance in your budget for home survey costs. After all, property surveys are absolutely essential to make sure that you are paying a fair price for your next home and also identify any structural defects or problems that the property may have. You may be tempted to get a cheap survey to save on home survey costs, but this is a big mistake. When you are buying any property, it’s probably the largest single investment that you’ll ever make. However, buying a property isn’t always a straightforward purchase as there are many different things that need to be considered. For example, is the property structurally sound? Is there any evidence of subsidence? Is the roof in reasonable condition? Are there any damp problems? That’s why it’s important to get your property checked out by a qualified surveyor before you purchase it. A Chartered Surveyor is an expert in property, and can easily spot most kinds of common property defects. If your surveyor does identify any issues, you can either get the property seller to accept a lower offer or decide not to buy the property. Typically, home survey costs represent a tiny fraction of the purchase price of any property. But they may ultimately protect you from buying a property that has expensive problems, and save you a lot of money as a result! What Are Average Home Survey Costs? Basic Mortgage Valuation Report. In terms of home survey costs, this is a really cheap property inspection which is carried out for the benefit of your mortgage lender. A surveyor will visit the property to check that it represents reasonable security for your mortgage, and you are buying at a fair market price. The Chartered Surveyor will normally only spend about 30 minutes at the property, and so will only be able to spot any really obvious problems. In terms of home survey costs, the price for a Mortgage Valuation Report will be set by your mortgage lender. 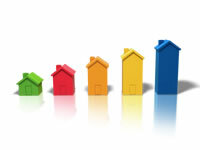 Generally, survey fees are based on the purchase price of each property. As a guide, a Mortgage Valuation Report for a £200,000 property should be around £200, whilst the home survey costs for a £400,000 home will be around £350. Homebuyer Survey. This is a more advanced type of property surveys. A Chartered Surveyor will spend around two hours inspecting the property, and will look at all the major elements of the property structure such as the foundations, walls and roof. The surveyor is looking for signs of subsidence, dampness, structural damage and drainage problems. 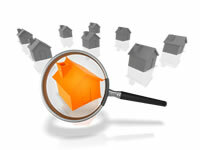 When the inspection is complete, you’ll be given a Homebuyer’s report by the surveyor. 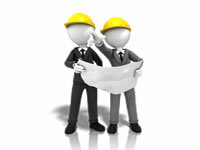 This report contains details of any defects or problems which the surveyor has uncovered. 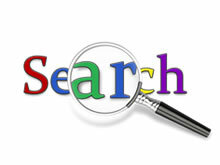 It will also include a property valuation, which is provided for your mortgage lender. The home survey costs for Homebuyer surveys are slightly more than those for a Mortgage Valuation, because the surveyor is spending a lot more time inspecting the property. As a guide, the home survey costs for a £200,000 property are around £350, while a £400,000 home could have survey costs of £750. Full Structural Survey. A structural survey is the most thorough type of residential property inspection available, and also the most expensive in terms of home survey costs. A Chartered Surveyor will usually spend half a day inspecting and surveying your property from top to bottom. The surveyor will look at virtually everything – even testing the water, gas and electricity services to make sure that they work properly. If there are and problems or defects with the home, there is a 99.9% certainty that they will be found with a structural survey. In the current climate, you can save a lot of money on your home survey costs depending on the type of survey you want. If you just want a basic Mortgage Valuation, the price is fixed by your mortgage lender and you’ll have to pay the fee that they quote. But if you are considering a Homebuyer Survey or a Structural Survey, then you can cut your home survey costs quite a lot by getting a fixed fee quotation from a firm of surveyors online. Many firms of surveyors now advertise online, and will often give you far lower home survey costs if you get a quote online. In fact, the internet rates that these firms quote can be discounted by anything up to 50% off their normal rates – saving you hundreds of pounds. 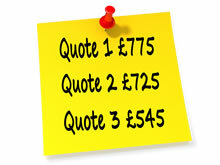 Even if you are just thinking about buying your next home, it’s well worth getting some online fixed price quotations to give you a rough idea of the home survey costs you can expect to pay.